Extreame Savings Item! 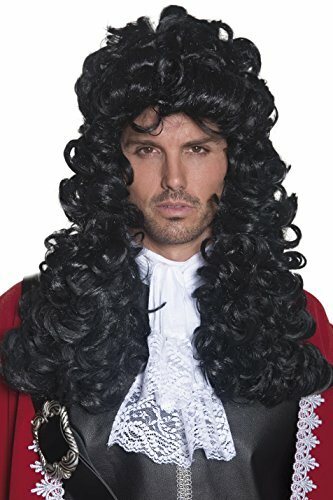 Save 44% on the Smiffy's Men's Long and Curly Black Pirate Captain Wig, One Size, 5020570420416 by Smiffy's at Mas Fashion. MPN: 42041. Hurry! Limited time offer. Offer valid only while supplies last. Stand out from the crowd and complete your costume with one of Smiffy's seriously fun accessories! Perfect for carnival, theme parties and Halloween. Men's Long and Curly Black Pirate Captain Wig, For a notoriously dangerous disguise! If you have any questions about this product by Smiffy's, contact us by completing and submitting the form below. If you are looking for a specif part number, please include it with your message.